Physiotherapist graduated in 2001, master and PhD in biomedical sciences – rehabilitation option from Université de Montréal in Canada. Professor, Department of Physical Therapy, State University Midwest (UNICENTRO) of Paraná. Experience in neurofuncionnal physiotherapy mainly working on the following topics: sensorimotor integration, evaluation methods in neurofuncionnal physiotherapy, contemporary proposals for physical therapy for disorders resulting from injury to the CNS and PNS, vibratory stimulation and transcranial magnetic stimulation. Physiotherapist graduated in 2001. Specialist in Neurofunctional Physical Therapy in Adult and Elderly (ABRAFIN / 2012). 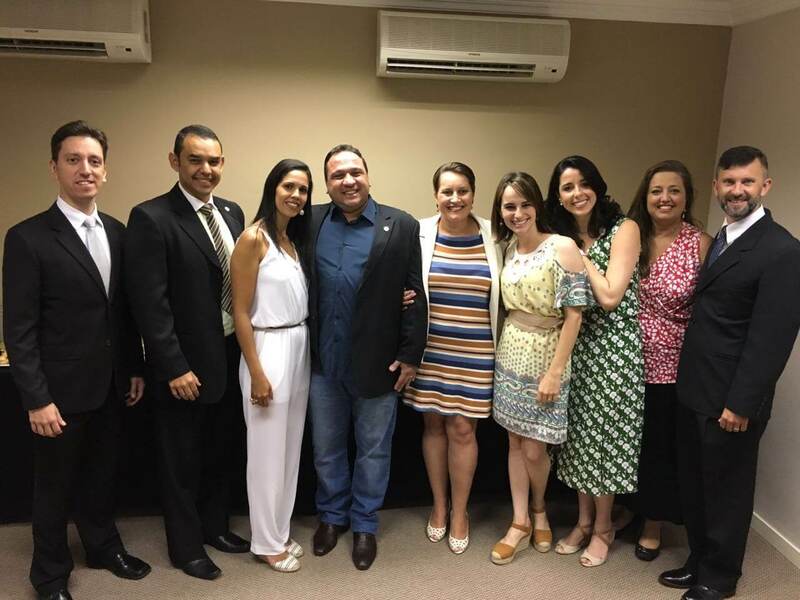 Postgraduate in Neurology with emphasis on Rehabilitation Therapies at the University of Taubaté in 2003, Master's degree in Bioengineering from Unesp in 2006, PhD in Biomedical Engineering from Unesp in 2011, Executive MBA in Healthcare Management from Fundação Getúlio Vargas, ending in 2018. Professor of Graduate University Christian Life Foundation (FUNVIC) in Pindamonhangaba SP, since 2005 Professor of Graduate Neurofunctional in Physical Therapy Education and Itajubá Research Foundation (FEPI) in Itajubá MG and Inspire School. Physiotherapist Neurofunctional in the home environment. Physiotherapist graduated in 2001. Specialist Neurofunctional Physiotherapy in the area of ​​Child and Adolescent (ABRAFIN / 2012). PhD student in Paediatrics and Child Health. Master in Human Movement Sciences. Postgraduate in Child Development. Professor of the University Center Unifacvest (Lages / SC) and the State University of Santa Catarina (Florianópolis / SC). It has experience in the Neurofunctional Pediatric Physical Therapy. Physiotherapist graduated in 1996. Associate Professor Department of Physical Therapy. Federal University of Sergipe (UFS-Lizard). Master in biomedical sciences option rehabilitation Université de Montréal (UDM), Canada. PhD in Rehabilitation Sciences from McGill University, Canada. Post PhD in neurosciences from the Federal University of Rio de Janeiro (UFRJ), Brazil. Working area: adult and pediatric neurofuncionnal physiotherapy. aquatic therapy. Area of ​​research: Control motor and neuroplasticity in the life cycle. Physiotherapist graduated in 1998. Specialist registered in Neurofunctional Physiotherapy adult (2012) and Trauma and Orthopaedic Functional. Master in Internal Medicine and Therapeutics / UNIFESP. It is autonomous and physiotherapist of the City of Camboriú. Working area: Vestibular Physiotherapy (dizziness / vertigo / fall), Physical therapy in TMD, Physical Therapy in Elderly and Public Health. Physiotherapist graduated in 2001 from the Federal University of Rio de Janeiro – UFRJ. Specialization in Hospital Management – ENSP / FIOCRUZ, MSc in Biological Sciences – IBCCF / UFRJ and PhD in Clinical Research in Infectious Diseases – INI / FIOCRUZ. Physiotherapist of the National Institute of Infectious Diseases Evandro Chagas – INI / FIOCRUZ, Organizing PROFISIO Neurofunctional and ad hoc member of the National Committee for Ethics in Research – CONEP. Practice Area: CNS infections and Hospital Physiotherapy. Physiotherapist graduated in 2003. Specialist Neurofunctional Physiotherapy by the Brazilian Association of Neurofunctional Physiotherapy (ABRAFIN / 2015). Working area: pediatric and adult neurofuncionnal Physiotherapy. Physiotherapist graduated in 2009. Master in Neurosciences from the Pontifical Catholic University of Rio Grande do Sul – PUCRS. Coordinator of Clinical Neuroreabilitar – Caxias do Sul-RS. Working area: neurofuncionnal pediatric physiotherapy. Specialist in Physical Therapy Neurofunctional Adult the Brazilian Association of Neurofunctional Physiotherapy (ABRAFIN) – 2015. Expertise in Social Gerontology specialization in Hospital Physiotherapy with emphasis in intensive care, specialization in Rehabilitation Neurofunctional. Master in Technology in Health (Bahia School of Medicine and Public Health). PhD in Rehabilitation Sciences (University of São Paulo). Practice areas: Physical Therapy in Gerontology; Neurodegenerative Disease; Hospital Physiotherapy. Degree in Physical Therapy in 2006, Master in Human Movement Sciences at the University of the State of Santa Catarina (2009) and Specialist in Physical Therapy Neurofunctional the Brazilian Association of Neurofunctional Physiotherapy (2015). Stage Research at the Jewish Rehabilitation Hospital, Canada (2009). Currently is Professor of undergraduate courses in Physical Therapy and Physical Education in Higher Education Institute in Florianópolis (IESGF) and Physiotherapist of Santa Catarina Special Education Foundation (FCEE). Presentation and publication of research papers in journals and national and international scientific events. Participation in examination boards degree in Physiotherapy. He has experience in Neurofunctional Physiotherapy, acting on the following topics: Neuromotor Recovery Biomechanics Evaluation of Health person with disabilities. Degree in Physical Therapy in 1986, Specialist in Neurology at the State University of Paraíba (1995), Master in Health Sciences, Federal University of Sergipe (2006) and PhD in Biotechnology Network for Northeast Biotechnology – RENORBIO (2010). Professor in Physiotherapy I Course and Program Strito Sensu, Master and Doctor of Health and Environment of Tiradentes / SE University. It has experience in the field of physical therapy with an emphasis on adult and child neurology, and is trained in the International Classification of Functioning and Disability Rating (CIF) with responsibility to disseminate and train teachers and students of the University Tiradentes. It operates on the following topics: Pyramidal syndrome and muscle spasticity. It has been conducting research in Biotechnology and Biological Studies Laboratory Coordinator and Natural Products Institute of Technology and Research Sergipe (ITP-SE), where natural resources are being studied as auxiliary resources to physiotherapy. Degree in Physical Therapy in 1997, professional development with FUNDAP bag UNICAMP (1999) and master's degree in Physical Therapy from the Federal University of São Carlos (2002). He is currently a professor at the Methodist University of Piracicaba and visiting professor of the specialization course in Applied rehabilitation will UNICAMP Child Neurology. It has experience in Child Neurology Physical Therapy, with emphasis on assessment and intervention in disorders Neurosensorimotores, performing probation supervision in physiotherapy in paediatrics based on neurevolutivo concept, sensory integration, Kabat method and manual therapy concepts. Degree in Physical Therapy in 2012, master in neuroscience for the post graduate program in neuropsychiatry and behavioral sciences – POSNEURO / UFPE and doctoral student by POSNEURO / UFPE. Member of applied neuroscience laboratory (LANA) and operates mainly in the areas of neurofuncionnal physical therapy and non-invasive brain stimulation. State of Piaui – UESPI / FACIME, Rehabilitation Manager of the Integrated Rehabilitation Center Physical – CEIR, Physiotherapist Acupuncturist with pain clinic in Medfisio space, Member of the Commission of the Regional Council of Physical Education and Occupational Therapy (CREFITO 14). Member of neurofuncionnal surgery team Outpatient Spasticity – CEIR. Degree in Physical Therapy in 2010. Master's Degree in Public Health and Hospital Management (IQC – FACNorte). Graduate in Neurofunctional Physiotherapy (Faculty Ávila – Bio Courses – 2012). Training FNP level 2 (Neuromuscular Facilitation) – IPNFA. Studying Postgraduate Rehabilitation in Orthopedics and Traumatology with emphasis on Manual Therapy (Fasam – Bio Postgraduate Courses). Teaching in Undergraduate Physiotherapy Rehabilitation Neurofunctional, acting in Semiology and Diagnosis Cinesilógico Functional Neurology (Fasam – Bio Courses Post-graduations). Professor of the Physiotherapy Course of the Metropolitan School of Manaus – FAMETRO (working in the areas of Neurofunctional Physiotherapy, Work Completion of course and internship governess). Physiotherapist graduated from the Faculty of rehabilitation of child Exceptional Solidarity Association in 1986; admitted through open tender to the Female air force officers came to serve in the air force Hospital Ship since 1987 to date. Has master of Science degree completed in 1999 on Morphological UFRJ. Acts clinically there is twenty-three years in the area of Neurological Physiotherapy and teaching in this area 13 years ago. Physiotherapist graduated from Universidade Tuiuti, master and doctor in rehabilitation by the Université de Montréal in Canada. Professor collaborator of Midwestern State University (UNICENTRO). Experience in physiotherapy neurofuncional acting on the following subjects: sensóriomotora integration, assessment methods in physiotherapy neurofuncional, contemporary proposals of Physiotherapeutic treatment for dysfunction resulting from injury to the CNS and PNS, vibratory stimulation and Transcranial Magnetic stimulation. 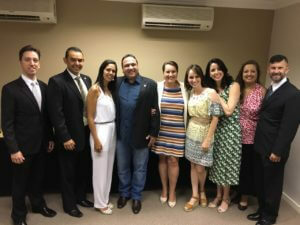 He is currently Vice-President of the Brazilian Association of physiotherapy Neurofuncional (ABRAFIN). Physiotherapist graduated from Universidade Gama Filho in 2004. Completed Post-graduate Lato Sensu in Neurological Physiotherapy from Universidade Estácio de Sá in 2006 and has a specialization in Physiotherapy Neurofuncional for the 2012 competition, ABRAFIN. Acts as physiotherapist in holoclínica and in the State Hospital Anchieta, and has training in Bobath and pop. He holds a Bachelor's degree in physical therapy from the Federal University of Rio de Janeiro (2001), Ph.d. in Biological Sciences (Physiology) from the Federal University of Rio de Janeiro (2006), post doctorate at FIOCRUZ and post-doctorate at UFRJ. He is currently Scientific Director of the Brazilian Association of physical therapy Neurofuncional, editor of Profisio Neurofuncional, Coordinator of research and Innovation of the Federal Institute of education, science and technology of the Rio de Janeiro-Campus Teaching of Realengo and degree course in physiotherapy at the Instituto Federal de Educação, Ciência e Tecnologia do Rio de Janeiro (disciplines of Physiotherapy in the Neuromusculoesqueléticas I and Cardiopulmonary Disorders I-health of the child axis). He holds a Bachelor's degree in physical therapy by the Lutheran University of Brazil (2006) and master's degree in Human Movement Science at the University of the State of Santa Catarina (2009). Research Internship at the Jewish Rehabilitation Hospital, Canada (2009). He is currently Professor of undergraduate program in physical therapy at the Institute of higher education of the greater Florianópolis (IESGF), Professor of physical therapy course at the State University of Santa Catarina (UDESC) and physical therapist from Santa Catarina Special Education Foundation (FCEE). Presentation and publication of research papers in journals and national and international scientific events. Participation in examinadoras stalls in Physiotherapy. Has experience in the area of physical therapy Neurofuncional, working mainly on the following themes: Neuromotora Recovery, Biomechanical evaluation, auditing in health. Degree in Physiotherapy from the Catholic University of Petropolis (2001), specialization in Neurology with an emphasis on Rehabilitation from the University of Taubaté (2003); MSC and PhD in bioengineering Universidade Estadual Paulista Julio de Mesquita Filho (2011). Expertise in neurological rehabilitation and neurosurgical hospital, outpatient and experience at home. Lecturer, Faculty of Pindamonhangaba since 2005, working in the disciplines: physical therapy Neurofuncional adult, Neurophysiology, clinical Adult Neurology, Bracing-Prosthesis, clinical and supervised internship in Adult Neurology. Proprioceptive Neuromuscular facilitation training (level 4) Proprioceptive Neuromuscular Facilitation by the International Association (IPNFA). Responsible for research involving the spinocerebellar ataxia and consultant of Brazilian Association of Hereditary Ataxias and Adquirdas (ABAHE). Lines of research focused on Bioengineering and physical therapy Neurofuncional. 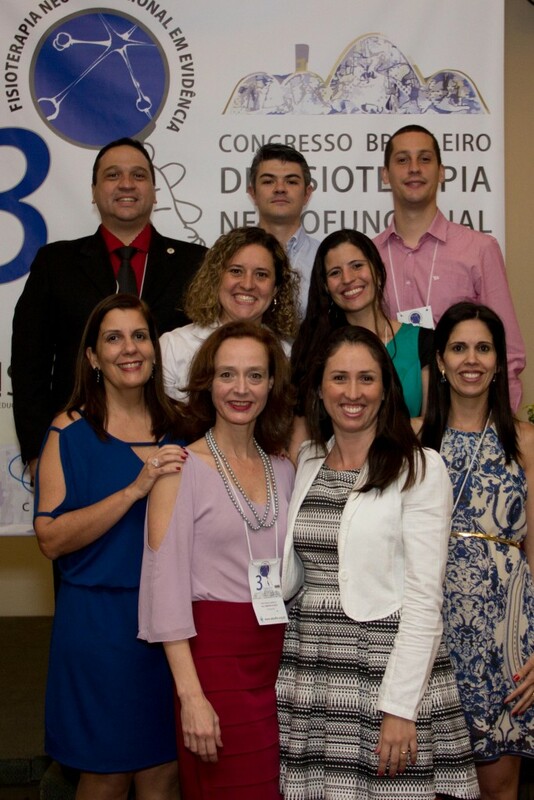 Member of the graduate Committee and Deputy of the State of São Paulo of the Brazilian Association of physiotherapy Neurofuncional (ABRAFIN). Specialization in Physiotherapy Neurofuncional in adults by the Federal Council of physical and occupational therapy (COFFITO) and Brazilian Association of physiotherapy Neurofuncional (ABRAFIN). Graduated in Physiotherapy by UNISUAM in 1989, having made by EMG BIOFEEDBACK therapy training by the Center in Miami, Bantle USA in 1992 and specialization in physiotherapy Neurofuncional by ESEHA in 1996. Holoclinica Coordinator, has a background in Bobath and pop. Graduated in physiotherapy at the Federal University of Pernambuco (2005) and is a doctorate in Neuroscience by Georg-August Universität Göttingen/Germany (2009). He is currently Assistant Professor in exclusive dedication of the Department of physical therapy, permanent teacher of post-graduate degrees in physical therapy and in Neuropsychiatry and behavioral science at the Federal University of Pernambuco and coordinator of the laboratory of Applied Neuroscience. It operates mainly in the areas of neuroscience, neurofisioterapia and non-invasive brain stimulation. Published articles in specialized international journals and numerous works in annals of national and international events, in addition to book chapters. Participated as lecturer/Lecturer of important events in your area of expertise. Guides and co-orienta dissertations and PhD, as well as scientific initiation scholarship Guide, technical support, Monograph of specialization and completion of course work in the areas of neurofisioterapia and neuroscience. Coordinates and participates in research projects encouraged by the CNPq, CAPES and FACEPE. In their academic pursuits interacts with several national and international groups in scientific collaborations. Physical therapist for the Faculty of the Serra Gaúcha. Master in Neurosciences at the Pontifícia Universidade Católica do Rio Grande do Sul. Has experience in the area of physical therapy Neurofuncional with emphasis on Containment Induced therapy and Locomotor Training. He is currently Clinical Coordinator Neuroreabilitar-Caxias do Sul. Developer of Physiotherapy research group Neurofuncional (GPFIN-UNIPAMPA). Representative of the Brazilian Association of physiotherapy Neurofuncional do Rio Grande do Sul. He holds a Bachelor's degree in physical therapy and a master's degree in internal medicine and Therapeutics/UNIFESP. Is autonomous and physiotherapist of the municipality of Balneário Camboriú. Has experience in the area of physical therapy and public health. It operates primarily in the approach of otoneurológicos disorders (dizziness/vertigo), temporomandibular joint and geriatric/gerontological. Is a teacher and Advisor of monograph of the postgraduate degree in management in health of the IFSC and tutor of the course of Aging at FIOCRUZ. Maintains the site fisioterapiaemevidencia.com. He holds a Bachelor's degree in physical therapy from the school of rehabilitation of Asce (1989) and a master's degree in Neuro-Motor Rehabilitation Sciences by Universidade Bandeirante de São Paulo (2006). Has experience in the field of physical therapy, with emphasis in physiotherapy Neurofuncional, acting on the following subjects: physical therapy, vestibular rehabilitation, treatment of balance disorders, neuroscience. He is a professor for 18 years. Taught vocational subjects for physical therapy course in addition to the disciplines of human anatomy, human physiology for nursing, pharmacy, physical education, psychology, biological sciences and technology in medical radiology. He has extensive experience in coordination of course, elaboration of Pedagogic political projects, Institutional development plan. Was Senior Adviser COFFITO (Federal Council of physical therapy and occupational therapy), 2008-2012 management where he served as Secretary of the Superior Commission of ethics and Deontology of physiotherapy and Chairman of Standing Committee of Bidding. It was representative of the COFFITO the Board of regulation of Work in health, an agency of the Ministry of health. Represented COFFITO at meetings in the ABNT (Brazilian Association for technical standards) and ANS (National Health Agency). Currently, in addition to a University professor, course of Vestibular Rehabilitation Minister all over the country. He holds a Bachelor's degree in physiotherapy (1980), specializing in Neurological Physiotherapy (2000), master's and doctoral degrees in Morphological Sciences by Universidade Federal do Rio de Janeiro (2005 and 2012). Has experience in the areas of physical therapy clinic in neuropediatrics, orthopedics and movement disorders. Study the effects of different treatments on peripheral nervous system lesions, involving morphological and functional approaches. Note: For personal reasons in January 2011, Dr André Luis Silva asked the Santios departure from the board, rising to the role the first alternate, Dr. Ana Clara Rocha Bonini.